Identify the sender. The first thing you should do if you receive a notice is confirm it is legitimate. Review your mailed notice carefully and if it looks suspicious, for example payment is demanded in a particular way such as a prepaid debit card, check the letter number on the IRS website or call the IRS directly. Also, remember that the IRS rarely calls individuals and if they do it is only after several mailed notices. Scammers can make the caller ID appear to be the IRS or part of a government agency. Additionally, the IRS will not send emails asking for your personal information or payment. Email scams were reportedly up 400% in 2016. Individuals are often targeted for these scams, but businesses can be conned, too. Don’t fall for it! Review these IRS warnings to become familiar with scammer tactics and protect your business. These types of errors generally require an amendment. For example, a payment was made at the end of the year and it was not included on either the 941 or the W-2. Because the amounts don’t match, an amendment will be required. 941-X is the form used to file an employer’s federal tax return amendment and W-2C, corrected wage and tax statement, along with W-3C, the transmittal form, allows you to correct employee W-2s. Sick payments from insurance companies, also known as long-term and short-term disability payments, are a common reason for mismatched 941s and W-2s. FICA taxes apply to these payments and therefore must be reported. Often a related IRS notice will be for the exact amount that the insurance company paid; it simply wasn’t reported correctly. Read the notice line-by-line. If you receive a legitimate IRS notice in the mail, carefully review the notice line-by-line. Most of them contain specific, step-by-step instructions for how to resubmit paperwork or update requested information. Call your payroll company immediately. If you receive a payroll tax notice and you work with a payroll company, call your representative immediately! They have tax experts available to help resolve issues just like this and can do the heavy lifting. Often they have IRS contacts they work with on a regular basis to resolve notices on behalf of their clients. If you consult with a CPA for payroll, contact them as soon as you can. CPAs also have the expertise and tools to guide you through the process of responding to a notice. If you have legal counsel on-hand, bring them in the loop on the notice and your plan of action. Add IRS deadlines to your calendar. The vast majority of IRS notices can be easily resolved. Don’t complicate the process by missing deadlines. Notices typically have a 30-day response window so keep this notice at the top of your to-do pile until it’s resolved! Employment tax notices are not the only type of notice you may receive from the IRS. If you are an applicable large employer (ALE), you may see an ACA-related notice in the coming months. Affordable Care Act notices catch up to employers. 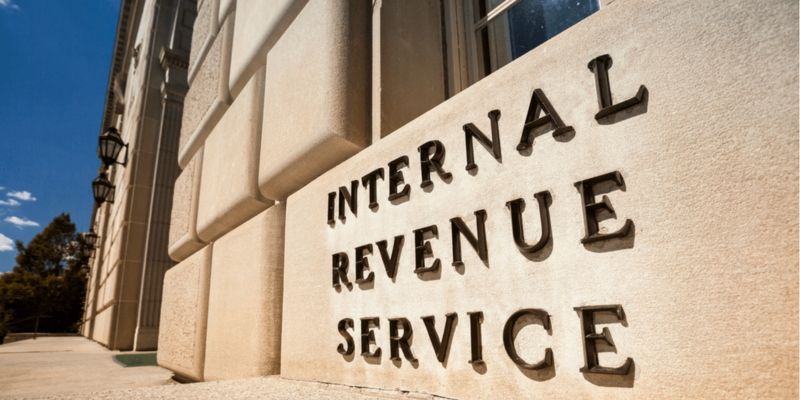 For the first time, many businesses are receiving notices from the IRS regarding failed compliance with the Affordable Care Act dating back to 2015. One of the key components of the ACA is that it requires employers with 50 or more full-time employees to offer health benefits to employees and their dependents. This must be “affordable” and include minimum essential coverage. Businesses who fail to do so will potentially have to make employer shared responsibility payments. An ACA-related notice, also known as Letter 226-J, could be issued if a covered employee purchased insurance on the healthcare exchange and received a premium tax credit, indicating that you did not offer affordable coverage. In all cases, the notice will detail the specific issue that triggered the letter and instructions for submitting a response-which must be completed within 30 days of the date on the letter. There are several recommended steps to take if you receive Letter 226-J, the most important being to consult with your licensed broker and/or attorney on a response to the IRS.